Triathlon events take quite a toll on the bodies of participants. After an event, triathletes often complain of soreness that lasts for days. There are many things that athletes can do to deal with the pain and help in the recovery process. One of these methods is massage therapy. The importance of massage therapy in the recovery of a triathlete is actually backed by science. A study published in the Journal of Physiotherapy recommends the use of massage therapy to athletes and active individuals. The study was a randomised, controlled dial. This means that the participants were not selected in a way that can influence the results. The assessors were also “blinded.” They don’t know who received the massage therapy and who did not. The study measured the pain and fatigue experienced by the participants. The researchers discovered that the group that received therapy experienced less pain and fatigue than the other group. The study also confirmed what many athletes and therapists knew from the very start – that massage therapy is a safe and non-invasive way to help reduce the pain and swelling that result from tough physical activities such as a triathlon event. So if you are a triathlete looking for ways to help in the recovery process after an event, this study will give you more confidence to turn to massage therapy. Of course, not all massage therapists are created equal. 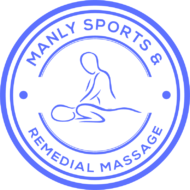 To get the most from massage therapy, you must choose a therapist with training and experience in administering sports massage therapy. Accurate diagnosis is also necessary. So be sure that you go to an expert first before trying a particular recovery method. A triathlon event can cause pain and suffering. Through massage therapy though, you can help the body heal and recover faster. Massage therapy is not only recommended for triathletes but for athletes in general.